I am smitten by the fragrance present in every Fiama Di Wills product which just out of this world! 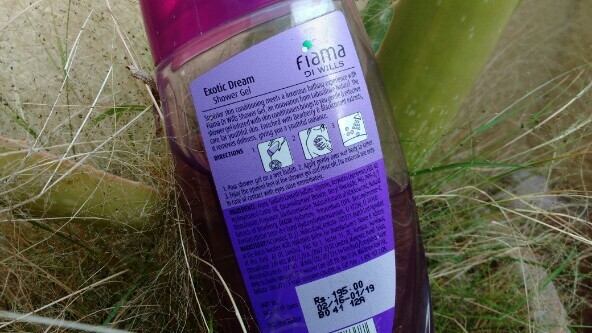 Before buying this shower gel I had used the gel bars by Fiama which I totally loved, infact they are what encouraged me to grab these shower gels when my Sister made a mega Fiama Di Wills haul! She has reviewed the Fiama Di Wills Patchouli and Macadamia Pure Indulgence Shower Gel HERE and the Fiama Di Wills Lemongrass & Jojoba Gentle Exfoliation Shower Gel over HERE. I was head over heels in love with this super cute purple bottle - I really have something for cute packaging and to add to that the bottled like a million bucks even before the seal was opened! The packaging is super cute! All Fiama Di wills shower gels come in a transparent bottle with a colour coded flip cap which shuts tight. The bottle is too big for travel though, I would suggest transferring the product into a smaller bottle while travelling. Apart from being sturdy, the packaging is very appealing and the kind which makes girls week in the knees! 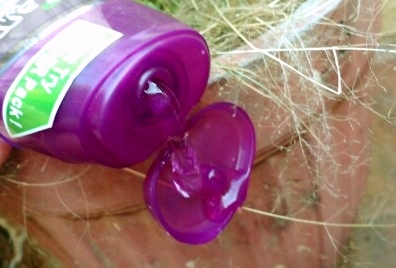 The gel is light purple in colour with some darker purple particles. The Fiama Di Wills Black Currant Bearberry Radiant Glow Shower Gel smells like a black berries deo. The smells is just too good to describe! 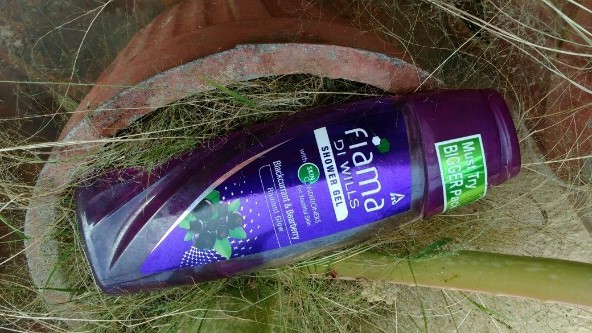 I have a super sensitive nose which gets easily irritated by strong fragrances but surprisingly it was just the opposite with the Fiama Di Wills Black Currant Bearberry Radiant Glow Shower Gel! I have been using this product for month now and my nose and skin have shown only positive reactions towards it. The Fiama Di Wills Black Currant Bearberry Radiant Glow Shower Gel comes in really handy when you want a quick shower. I skip using any kind of soap when I am using this and use it alone with a Loofah. It lathers quite well and within minutes my whole bathroom is smelling like a million bucks! It gives me a rejuvenating feel and when I am out of the shower everyone around me is puzzled and searching for the source of the amazing fragrance in the room. It for sure gives a boost of confidence and does its job pretty well. The fragrance lasts for a short time though. The best thing about this shower gel is that it gives me that luxury feel which I love! Make sure you wash off the gel thoroughly as shower gels tend to cling to your sensitive areas and worsen any infections you have. 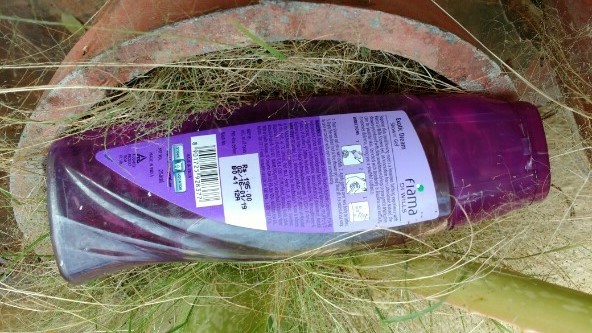 Would I recommend the Fiama Di Wills Black Currant Bearberry Radiant Glow Shower Gel?